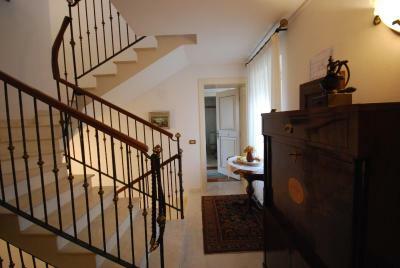 Lock in a great price for Villa Tuttorotto - rated 9.1 by recent guests. Excellent across the board. Excellent staff, location, facilities, value. Great villa. I was as at home in villa. Surely will come back for relax together with husband, hopefully soon. 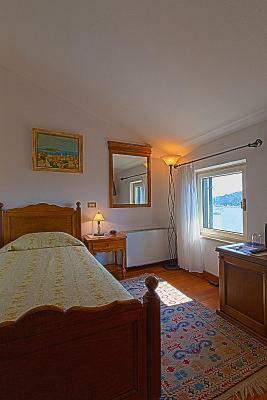 staff,good height of bed and excellent breakfast,of better quality than hotel adriatic a 4 star rated hotel close to vila tuttorotto. 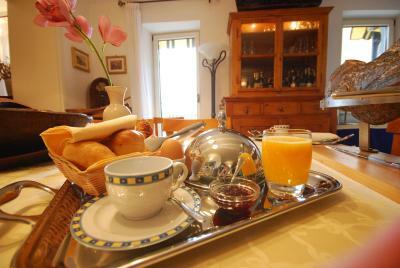 Amazing staff, high quality breakfast, and excellent location. The hotel itself is charming. Couldn't be better. A really lovely hotel and highly recommended. The staff were fantastic. Anticipated everything you might need with charm and kindness. 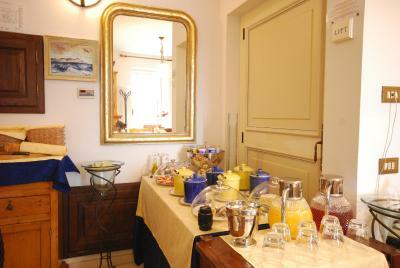 Breakfast was delicious and the Room was comfortable, light and airy with a lovely view. The hotel is full of antiques and interesting objects . It is a tranquil haven in a busy (but pretty) town. Huge bed, fair location in the pedestrian zones. good view from the window in our room on the 4th floor. 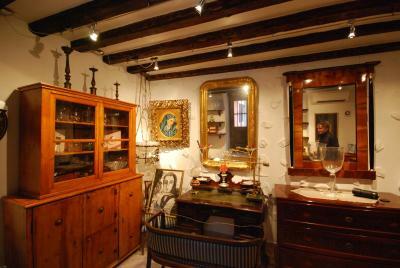 The staff were excellent and always helpful and happy to assist with any matter. This is why I gave the score I gave. The setting in the old town area is also beautiful. The property is in excellent order and it was very comfortable. Helpful and friendly staff. Quaint, old worldly décor. Spacious room. Good location. 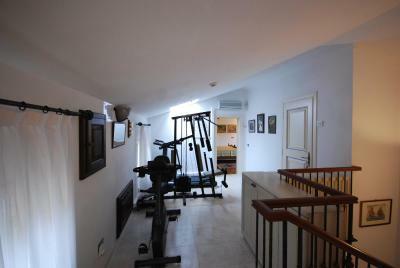 Great location, in the heart of Rovinj with all amenities very close by. 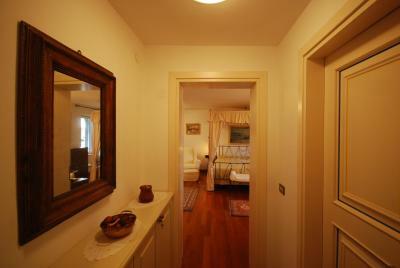 Clean and good value for the size of the accommodation. 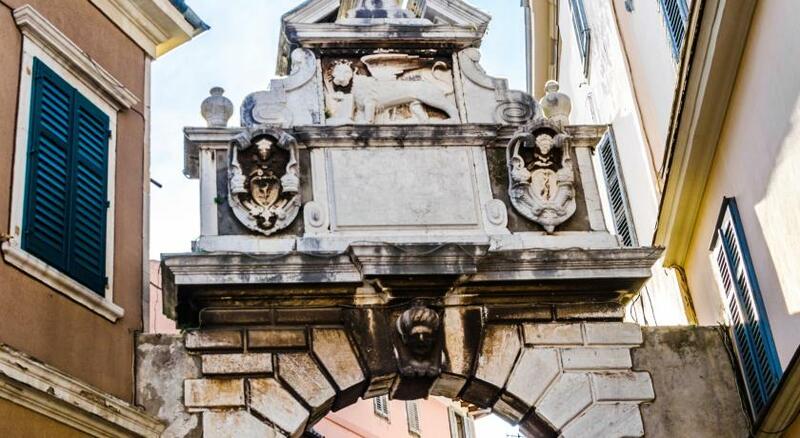 One of our top picks in Rovinj.Located in Rovinj Old Town, the boutique Villa Tuttorotto is set in a historic building and features air-conditioned rooms overlooking Rovinj harbour and the Adriatic Sea. Free WiFi is provided in all areas. 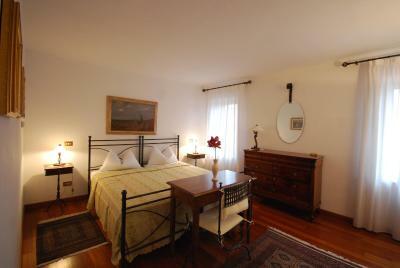 Tastefully decorated rooms feature antique details and comprise a minibar, a safe and a flat-screen satellite TV. Private bathrooms come with a shower, a hairdyer and free toiletries. 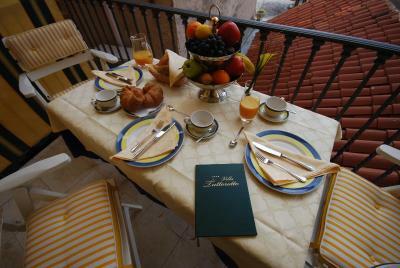 Guests can start their day with a gourmet breakfast in the dining room or on the sunny balcony of the hotel bar. 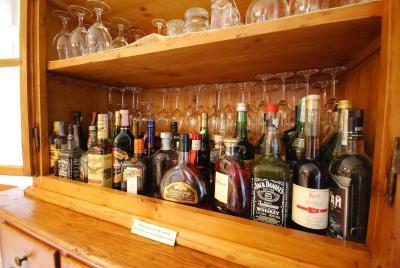 Villa Tuttorotto has a lounge area with comfortable sofas and a wide selection of local and international spirits. 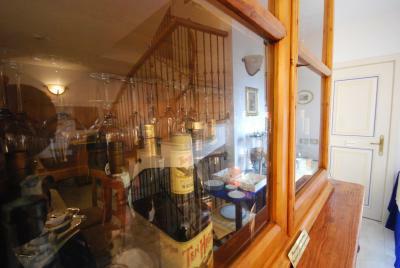 The hotel also has an on-site antiques shops. Various restaurants and shops are located within walking distance of the property. Pula Airport can be reached in 24.2 miles. 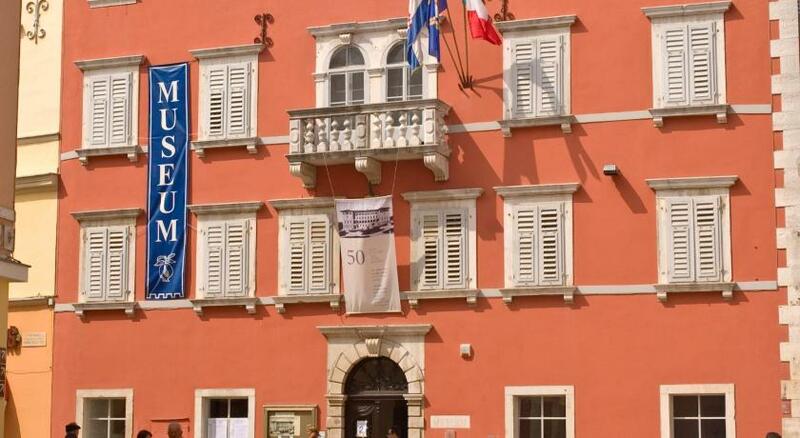 This is our guests' favourite part of Rovinj, according to independent reviews. 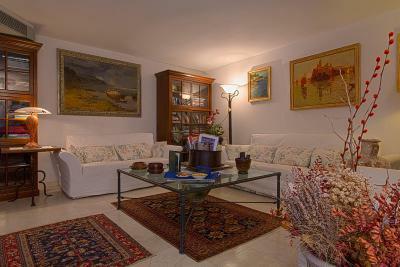 Villa Tuttorotto has been welcoming Booking.com guests since 23 Jul 2010. 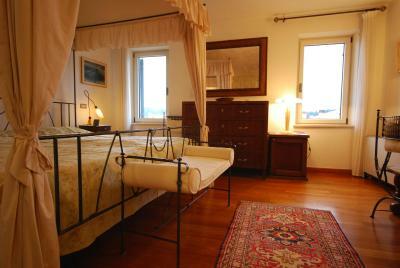 When would you like to stay at Villa Tuttorotto? 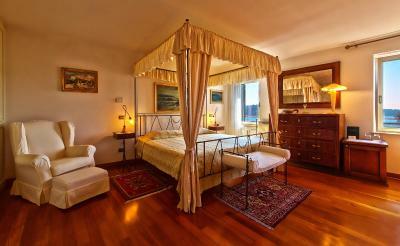 This air-conditioned room offers views of the sea and comprises a flat-screen satellite TV, a minibar and a safe. 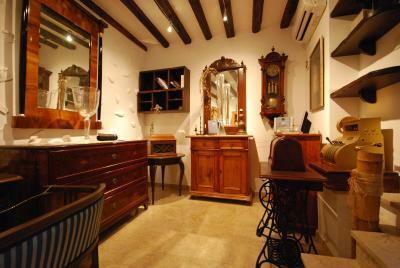 The room is decorated in a rustic style with antique details. 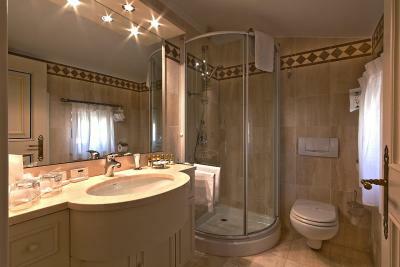 A private bathroom comes with a shower, a hairdryer and free toiletries. This spacious air-conditioned suite offers views of the sea and comprises a sofa, a flat-screen satellite TV, a minibar and a safe. 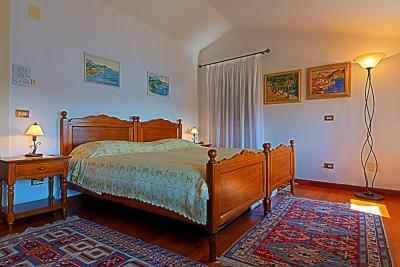 The room is decorated in a rustic style with antique details. A private bathroom comes with a shower, a hairdryer and free toiletries. 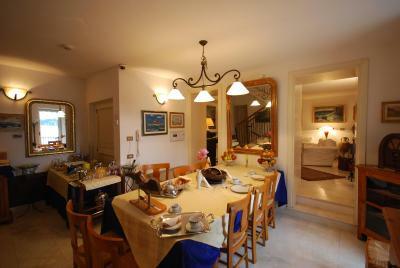 This air-conditioned villa is located in Rovinj Old Town, 150 metres from Villa Tuttorotto and comprises a fully furnished kitchen, a seating area with a sofa and a flat-screen TV and a safe. Two private bathrooms come with a shower, a hairdryer and free toiletries. 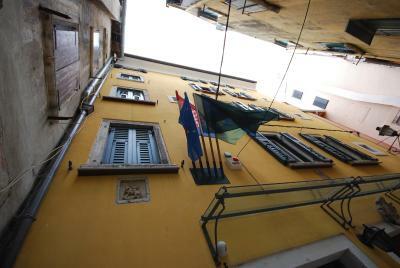 The address of the villa is: Ulica Vrata Valdibora 2. 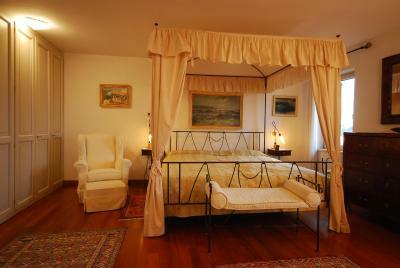 Please note that up to 2 extra beds are possible in this villa (see Policies). 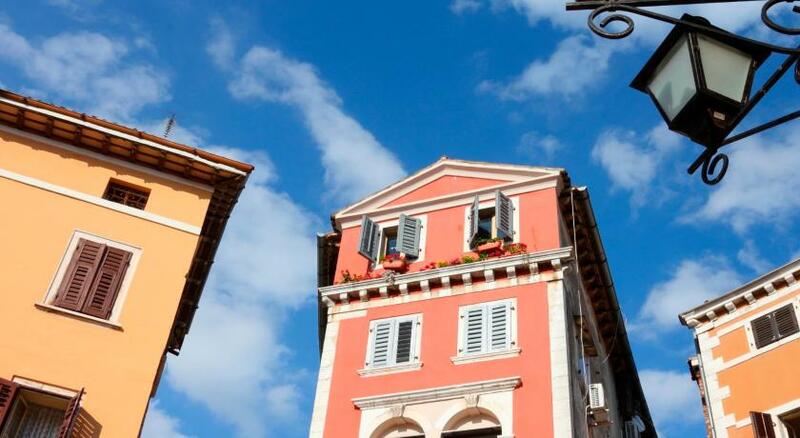 Encircled by the Adriatic Sea, Rovinj old town’s buildings date from Venetian times, flaunting their orange, yellow and terracotta tones. 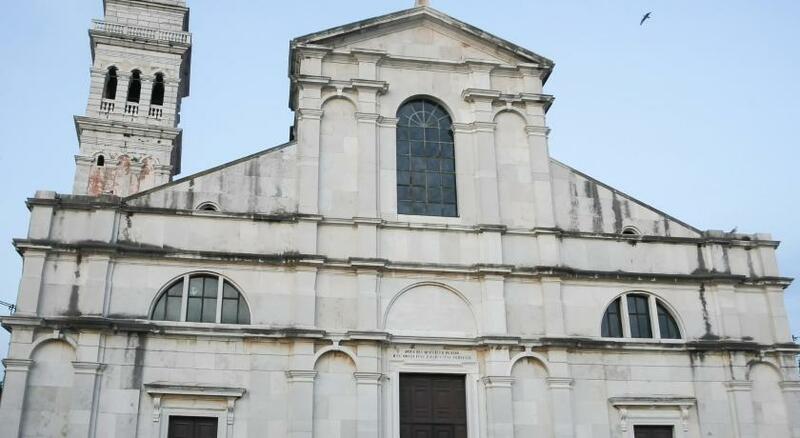 St. Euphemia Church is unmissable with its impressive views. House rules Villa Tuttorotto takes special requests - add in the next step! 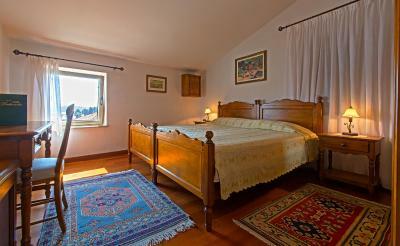 Up to two older children or adults are charged EUR 30 per person per night for extra beds. 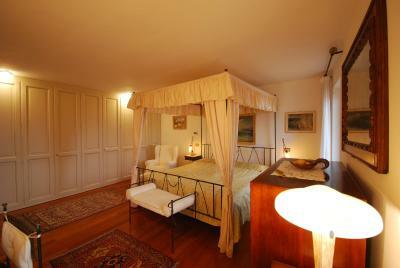 Up to two children from 2 to 12 years are charged EUR 15 per person per night for extra beds. 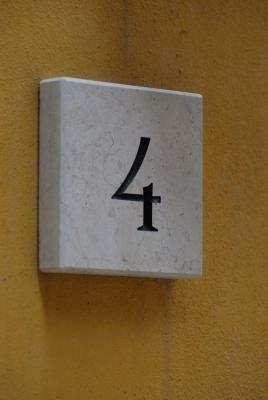 Villa Tuttorotto accepts these cards and reserves the right to temporarily hold an amount prior to arrival. 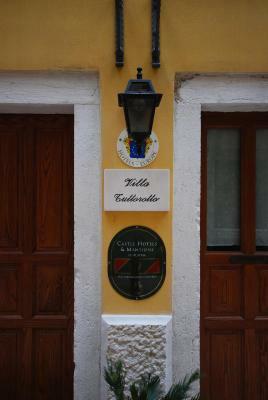 Please inform Villa Tuttorotto in advance of your expected arrival time. You can use the Special Requests box when booking, or contact the property directly with the contact details provided in your confirmation. 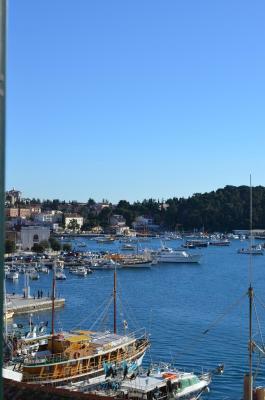 One of the most picturesque neighbourhoods in Rovinj! TOILET IS RATHER LOW, AND NO GRAB-BAR ON WALL TO HELP YOU UP,IF YOU HAVE KNEE /HIP ISSUES. 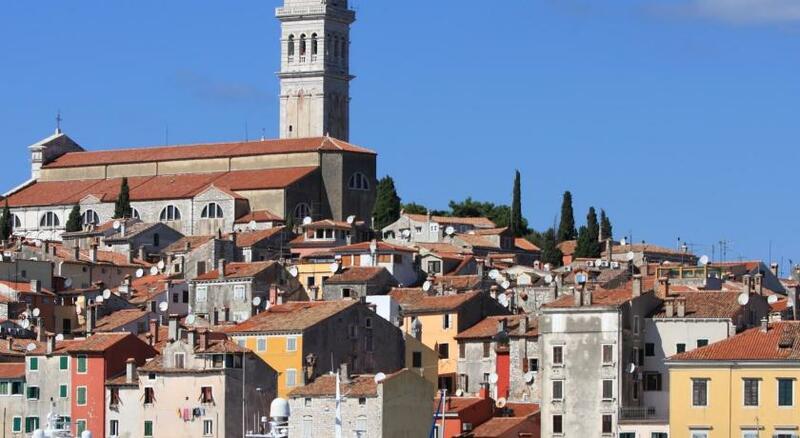 The old town of Rovinj is a warren of winding streets. Even with the best directions the location was difficult to find. 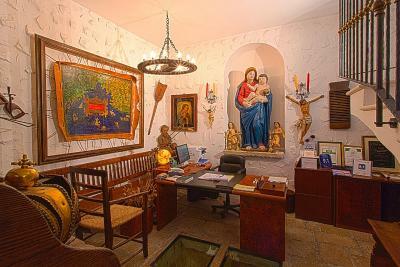 The parking arrangement is not too far from the hotel but is not affiliated with the property. The parking charge was very reasonable. Trip Advisor indicates parking as an attribute of the hotel which was misleading. The Tuttorottowas a small, well run , impeccable, ‘museum’ hotel. 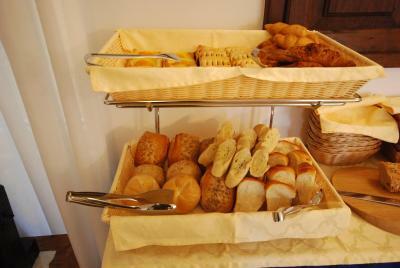 The breakfast was ample and varied. The staff were most conscientious. Air conditioning didn’t work but it was cool enough outside thankfully. Bed was super squeaky. Location was great. Lots of history in regards to the building and decor. Cool ambiance. Nice staff. 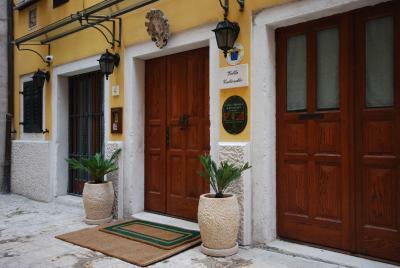 Beautiful hotel in a perfect location in the old city. The breakfast was included and it was delicious! Very clean and wonderful staff! only 2 issues needs a handrail in shower and one near toilet.but then hotel adriatic near it also needs same and at least the beds in vila tuttorotto are of a height that if you have physical issues you can get out of bed as they are of suitable height,compared to the too low ones in hotel adriatic. Hot water in the tub didn't get warm enough. AC in the room was noisy. One of the three hotel staff we talked who was at the reception one night wasn't friendly and helpful at all. The room and its bathroom were roomy and comfortable. Nice ocean view from the room/bathroom. Good breakfast with a lot of whole fruits. Nice location. Having the elevator (very slow though^^) in the facility was nice for my condition. Kristina was very professional and helpful. Tough walking up 4 levels. Perfect location on the main promenade,but still quiet. Staff helpful.2 -3 minute walk to good swim area in town. Air conditioning unit (Rm 403) was loud. Excellent staff; very courteous, friendly, and helpful. Excellent breakfast.